On September 9, 1783, with the stroke of a pen, a struggling grammar school in Carlisle, Pennsylvania, was transformed into Dickinson College. Just days before, the Treaty of Paris had officially ended the American Revolution and guaranteed international recognition of the United States of America. Dickinson College now held the distinction as the first college charted in those new United States. 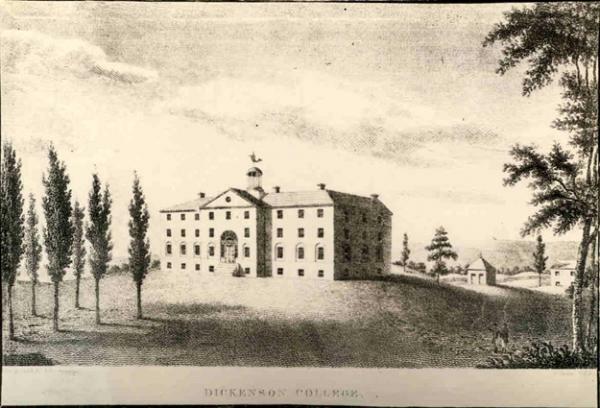 While Benjamin Rush was the driving force behind the new college on what was then the American frontier, he had asked that John Dickinson-the governor of Pennsylvania and known widely as the "Penman of the Revolution" - to lend his support and name to the college to ensure its success.